Featuring maximum durability and no-slip starting, the DEWALT DW1163 Black Oxide Drill Bit Set is equipped with 13 commonly used bits designed to power through a range of applications. Crafted from heavy-duty black oxide, each bit features a 135-degree split point to helps to reduce walking. A rugged container keeps bits organized and ready to use. 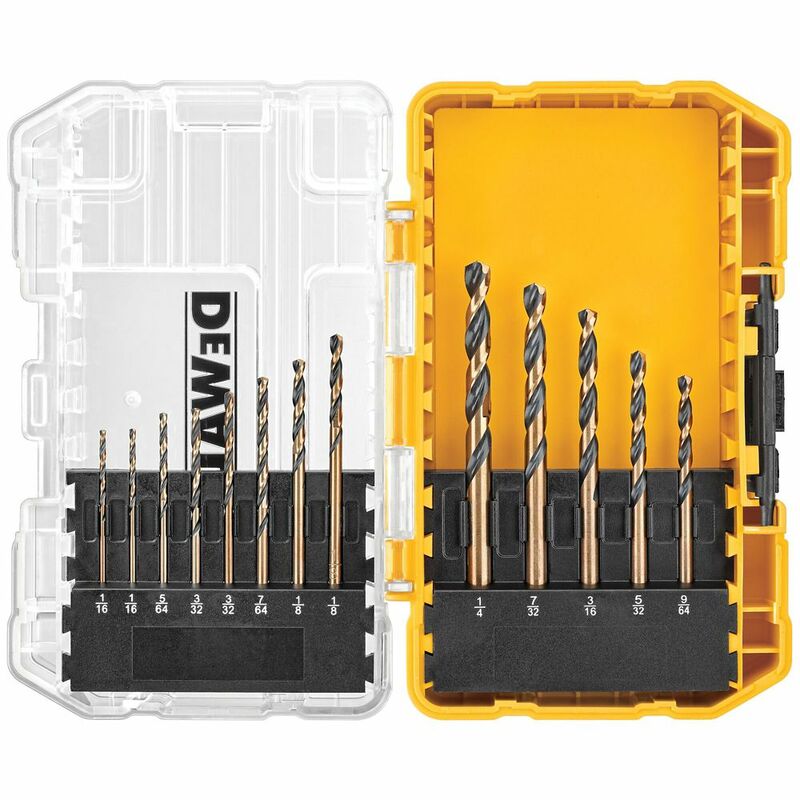 Black Oxide Drill Bit Set (13-Piece) Featuring maximum durability and no-slip starting, the DEWALT DW1163 Black Oxide Drill Bit Set is equipped with 13 commonly used bits designed to power through a range of applications. Crafted from heavy-duty black oxide, each bit features a 135-degree split point to helps to reduce walking. A rugged container keeps bits organized and ready to use. Black Oxide Drill Bit Set (13-Piece) is rated 5.0 out of 5 by 2. Rated 5 out of 5 by Dickyboobuntlac from Good Basic Set For The Home Purchased to have with my DeWalt Cordless set that I use around the house for light to medium tasks. This combined with some masonry bits and I am good to go. Rated 5 out of 5 by DewaltNewUser from Great drill set I bought this for some outdoor home improvements, decking and fencing. Much like the rest of my Dewalt items, these work great. After a full deck and fencing project, none of the drill bits I used show any signs of degredation. You can't ask for more than that!! !